Such is the quality and reliability of SEW’s geared motor and gearbox technology that local original equipment manufacturer, Wamechsi Group, has standardised on the German company’s products for demanding agitation, mixing, aerating and settled sludge conveying and compacting applications at its wastewater treatment plants. “Wamechsi is a Pretoria-based wastewater OEM that was founded in 1997 under the technical direction of Juri Niemand,” says Strydom. “It has since grown to be one of the largest installers of wastewater plants in the South African municipal market,” he adds. The Group has extensive manufacturing capabilities that include state-of-the-art laser and plasma cutters, CNC lathes and milling machines, submerged-arc and robotic welding systems and ancillary equipment such as 24 5.0 t overhead cranes. “Our relationship with Wamechsi started back in 2012, with the supply of some geared motors for mixers and aerators – and by 2015 the relationship had developed into a full scale partnership. Wamechsi has now standardised on SEW equipment for all its drive equipment for mixers and aerators; rake and drum screens; and its sludge conveyor and compacting drives,” he says. Strydom cites a recently won Wamechsi project in Virginia in the Free State. “For phase two of the Virginia project we supplied eight 75 kW IGs for the aerators,” he reveals adding that, for another project, ERWAT’s Bushkoppies plant South West of Johannesburg, SEW-EURODRIVE supplied 15 11 kW geared motors to drive the mixers. “We are currently busy with the Theronia Waste Water Treatment Works in Welkom in the Free State, which will include 22 geared motors for different applications: aerators, mixers, screens, and conveyors,” he tells MechChem Africa. Summarising the needs of wastewater treatment works, Strydom says that the inlet works first bring raw sewage into the plant. Rotating drum screens are used to take out solid contaminants such as nappies, wet wipes and all the debris that has accumulated in the storm water and sewer networks. The water effluent and sludge passes through the screens and is transferred via spiral or screw conveyors into flotation or settling tanks. The sludge is seeded with activated sludge and then aerated from the surface. This fuels the growth of bacteria that consume the organic matter in the sludge. In the process, larger and more dense solids are formed that sink to the bottom of the tank, leaving liquid water with dissolved contaminants in the top section. After settling is complete, the liquid solution overflows and is transferred into clarifiers, where it is further treated to the appropriate standard for release into dams and rivers. The solid sludge that settles in the bottom of the flotation tanks is continuously being removed from the bottom of the tank by screw conveyors, which, for Wamechsi plants, are also driven by SEW geared motors. The solid matter is directed to digesters, where it undergoes anaerobic digestion. This process produces methane – a potential energy source – along with nutrient rich bio-solids, which are compressed, dewatered and dried for use as fertilisers. “Many of the processes involved at wastewater plants require drives and we are very proud that Wamechsi has chosen us as its preferred supplier of drives for their equipment,” notes Strydom. Why SEW? “Wamechsi prides itself on its reliable designs, which depend on quality drives that are equally reliable and dependable. Our flexible product platform incorporates SEW’s load-specific bearing concept. The transmitted torque and very high radial and axial forces from the cantilevered output shaft have to be supported by the bearings and, for horizontal or vertical mixer and aerator applications, we have the expertise to provide optimal solutions,” he assures. “In aerator and mixing applications, our projects and engineering teams have to double check all of the loads and bending moments. These loads are supplied to us by the client, based on their designs. 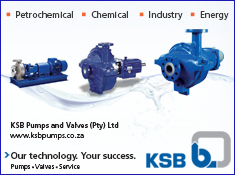 We then ensure that the gearboxes selected are optimally suited to the application at hand,” Strydom adds. “For simplicity and improved reliability reasons, Wamechsi prefers to use direct online drive systems. To do this efficiently, the sizing of the motor and gearboxes needs to be very precise so that the fixed-speed systems are very well matched to the system requirements. At SEW, we have the design expertise and the product flexibility to meet the varying requirements so that the equipment accurately matches plant demand,” he says. “In addition, after sales service is critical. SEW is on standby for all Wamechsi installations on a 24/7 basis, offering onsite support for repairs and/or replacement units from our dedicated mobile service teams,” he continues. 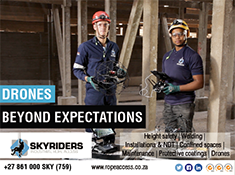 With respect to warranties, Strydom says that Wamechsi also has special requirements with regards to extended warranties. “Our standard warranty is for 12 months from delivery, but we offer an 18-month warranty on equipment installed at Wamechsi plants. Also, our warranty only kicks in on installation. Our products are generally delivered in advance of installation and plant start up. By delaying the warranty start date, Wamechsi is better able to match their plant warranty and the individual plant equipment warranties,” Strydom informs MechChem Africa. “With respect to spares, we also guarantee aggressive local stockholding. Wamechsi-built plants have 24/7 access to our assembly facilities for emergency replacement and/or repair work. At a recent breakdown in Stellenbosch, for example, we visited the facility, took the unit back to our Cape Town branch and had the plant up and running on a replacement unit within hours. We then went ahead with the repair of the original unit, which the plant chose to keep on site as a replacement unit,” he relates. “Geared motors operating in wastewater applications typically have a five-year maintenance-free life, after which we recommend an oil change and a light service before putting them back into service. With regard to total life, Wamechsi has SEW geared motor units that have been running since the early 90s and these are still working today,” notes Strydom. Industrial Gear units from SEW are ideal for applications where a high performance level is required for mixing and agitating liquid or paste-like substances. Apart from wastewater treatment, these also include chemical, food and beverage, and mining uses. South Africa is officially classified as a water-stressed country, which means that our valuable water resources have to be conserved as much as possible. It is critical for solution provider such as SEW to be at the cutting edge of supporting this technology,” Strydom points out. “The wastewater treatment industry not only generates much-needed employment, but is essential for continued economic development, as the country’s residential needs cannot be met without this essential water infrastructure being put in place first,” he concludes.